YEREVAN, SEPTEMBER 23, ARMENPRESS. Azerbaijani President Ilham Aliyev has made it to a whole new level of embarrassing gaffes on Twitter. In a frantic series of tweets against Armenia, particularly one statement is remarkably odd, to say the least. 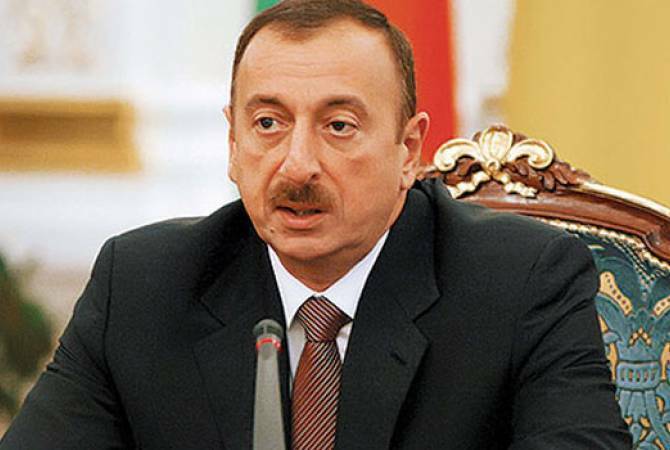 ‘International observers’ positive reaction to the recent elections in Armenia should be investigated,’ tweeted Aliyev on September 22. Yes, September 22, the day when the voting didn't even begin in Yerevan. The voting began September 23, and is still ongoing. Aliyev’s statement proves either he has a time machine, or no matter the outcome he would’ve tweeted the same thing.